Features: Cost-effective smooth interior hose. Features: Completely smooth interior maximizes prevents clogs and maximizes airflow. Features: Excellent flexibility and crush resistant. 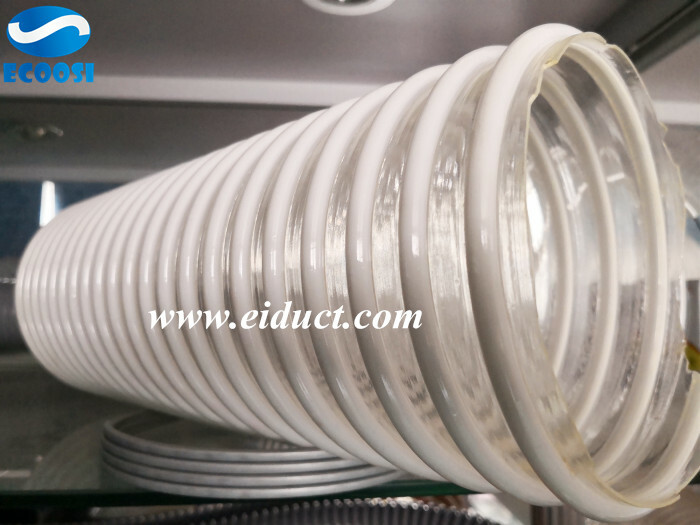 Features: External helix acts as wearstrip, protecting the outside of the hose. 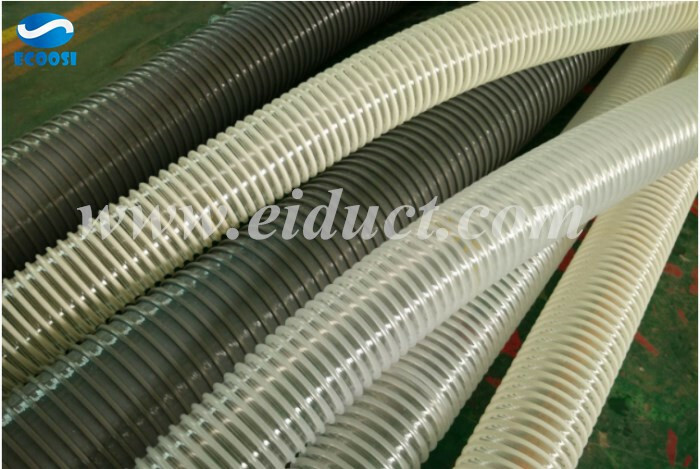 Ecoosi flexible ducting hose - Suction Hose material handling hose is a duct hose that is made up of polyurethane. 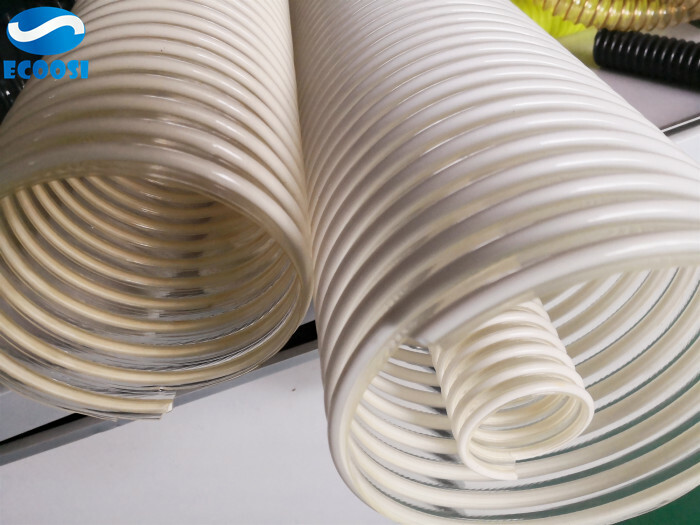 As a great hose for dust collection and other material handling applications, it features a smooth interior that maximizes the level of flow in the tube. 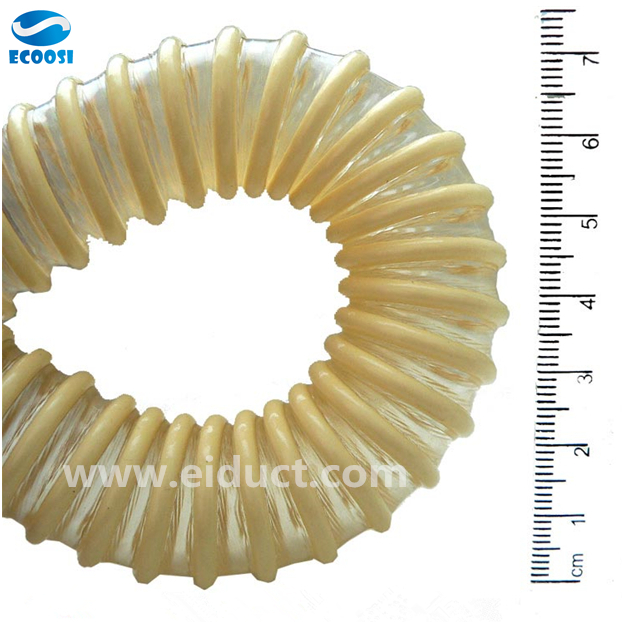 And it is a very abrasion resistant hose thanks to its polyurethane makeup and its external wear-strip. Overall, this flexible suction hose is a great choice for your dust and material handling needs. 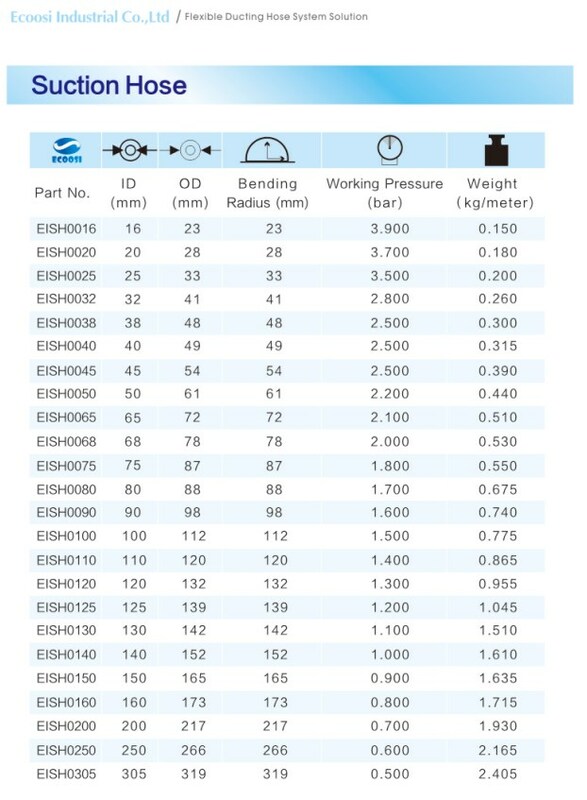 Consider carefully the advantages of having a smooth interior on a flexible suction hose for material handling. 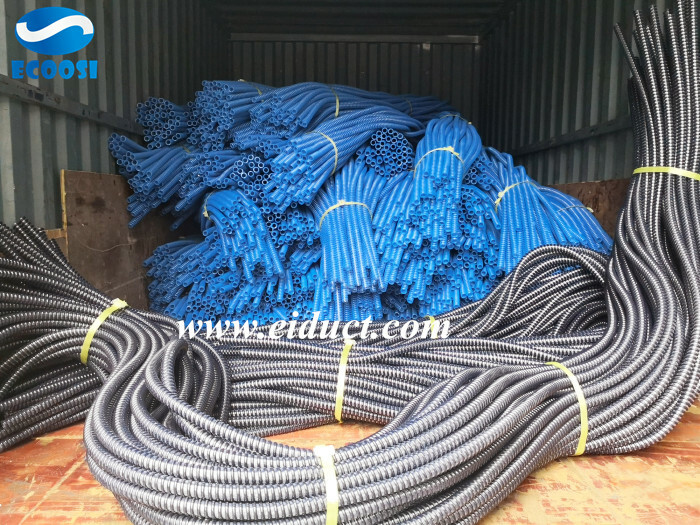 The smooth interior area means that the hose does not have any uneven ridges or corrugations. Such uneven surfaces can invite finer materials to get caught inside and clog up the flex suction hose. Its can be a great problem that will hinder the efficient functioning of your applications. Particles will not get caught or form clogs on smooth interior surfaces of this hose due to its smooth bore. Inside, the material handling hose will benefit greatly from a superior and efficient level of airflow.